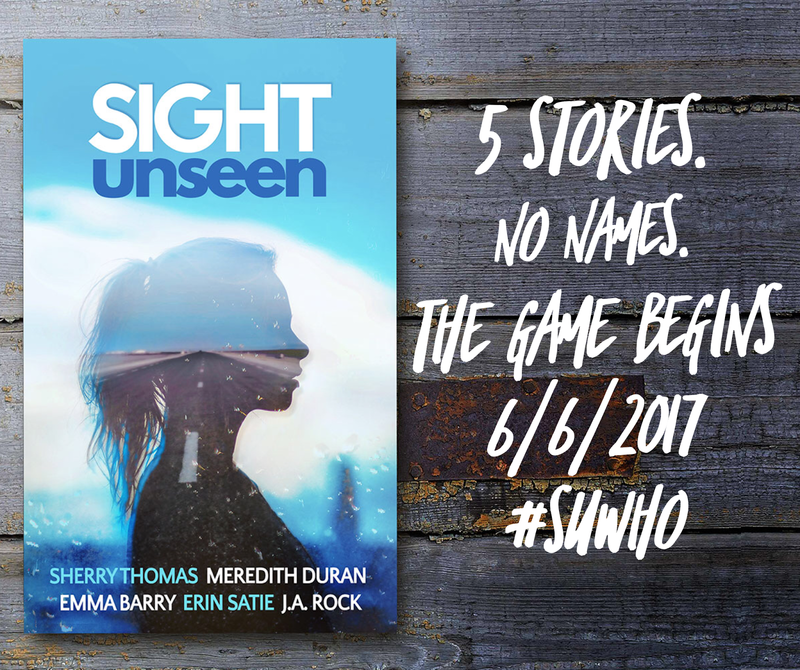 We're pleased to spotlight Sight Unseen, a series of romance novellas -- with a twist! 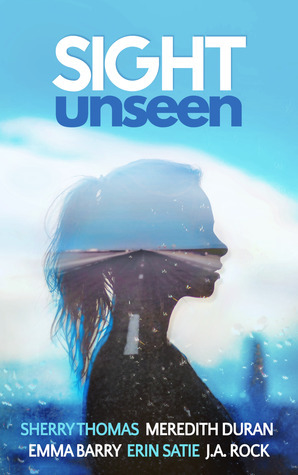 Keep reading to learn more about the book and enter to win an ebook copy of Sight Unseen! Want to know more about the concept? Here's each of the authors talking about their experiences. Emma Barry, author: Almost immediately, writers get pigeonholed by their subgenre. That choice affects what you write, how you sell it, who you query, your website design, what pen name you pick, and basically everything else you do. Writing anonymously snipped those strings. This project got to exist totally outside of my work in a way nothing has since my debut. Erin Satie, author: In retrospect, I signed on for exactly the wrong reason. I was thinking about how much fun it would be to read the novellas completely blind and guess at the authors. By writing one of the stories I made that impossible but it's still the coolest, funnest idea for an anthology project that I've ever heard. Sherry Thomas, author: I was so happy when Judith asked me to be a part of her anthology--finally, a deadline so I can finish an intriguing story. I'm doubly delighted because this is also the first time I've written a straight-up romance in about two years. Love writing romance! This concept sounds unique and interesting. I personally don't like every book be my favorite authors--I go by the story and voice of each book rather than "auto-buy" authors based on their names. I tend to look for books by my favorite authors, so I would probably pass on this in the bookstore.